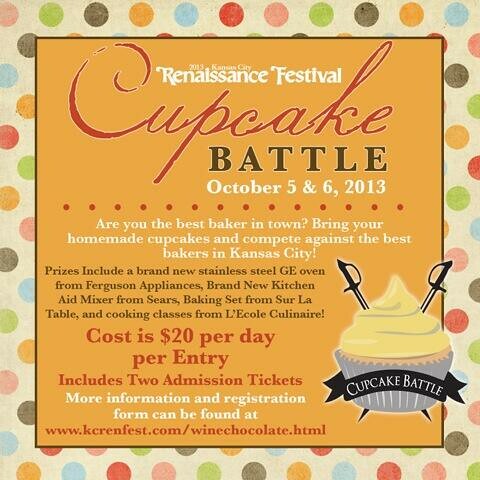 3 Girls Cupcakes let us know via Twitter that the upcoming Kansas City Renaissance Festival October 5th and 6th is hosting a cupcake battle. Want to join? That link has more information and click here to apply in the amateur or professional categories. And while I'm posting about them, I couldn't resist the monster cookie dough cupcakes from 3 Girls Cupcakes, via their Facebook page. 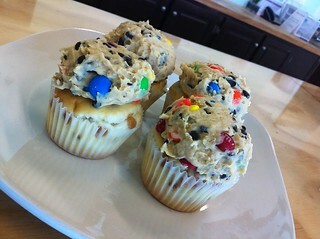 "It's a vanilla cupcake with peanut butter chips and an eggless monster cookie dough frosting."